When Jenner visited the town of Yixing during a trip to China, he got overwhelmed by their traditional craft of ceramics with the famous Zisha clay renewed for its rich, reddish characteristic colour and a rough finish, making the clay the perfect material for producing tea ware. And that's what Jenner did. 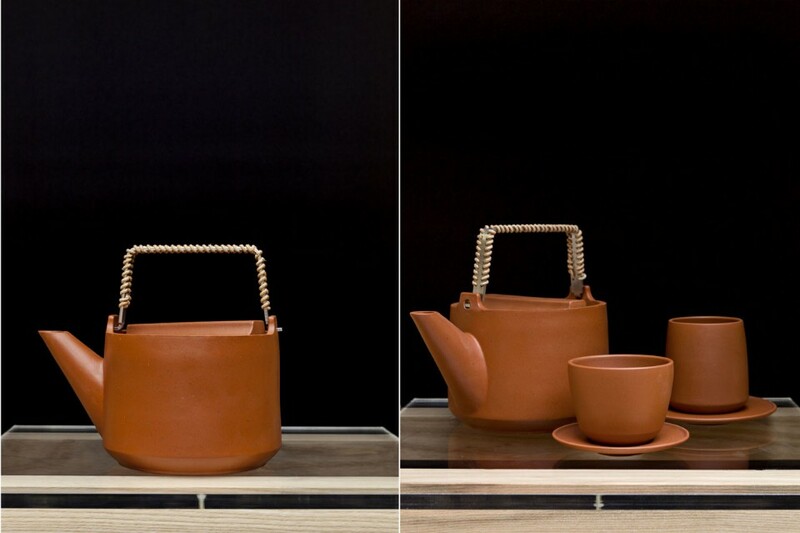 He designed and produced, together with craftspeople in Yixing, acomplete tableware collection including a tea service, plates, storage jars, jugs, vases, plates and bowls all in the same rich, reddish characteristic colour.